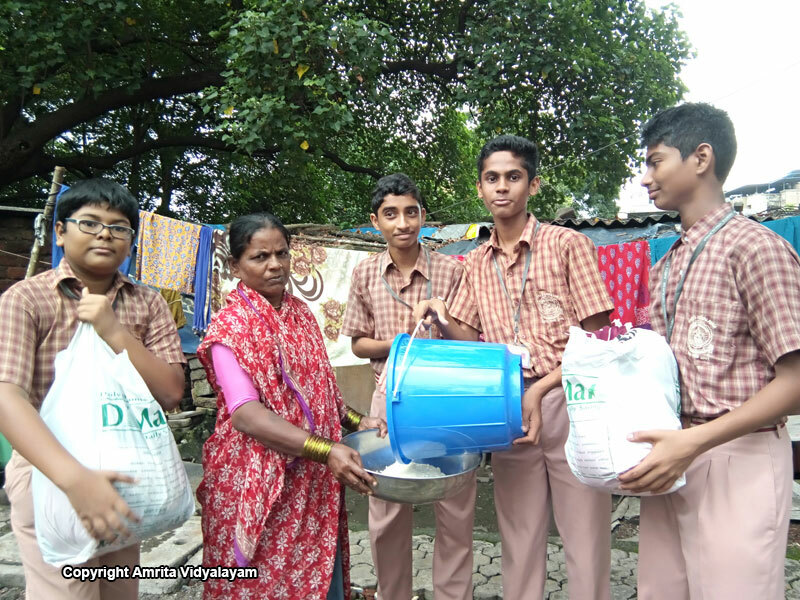 Sevamritham – Students and teachers invited members of 31 families on auspicious Navami and distributed rice, pulses, clothes and essential food items. They also visited their houses in the first week of September to distribute the rice which was brought diligently by students every Tuesday. 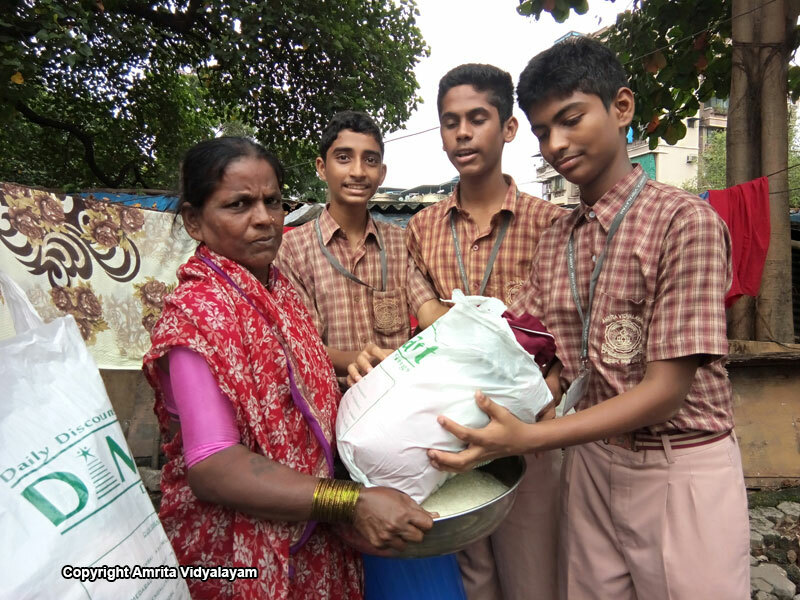 A special mention to Class VI-C for their generous contribution of rice and 12-B for collecting clothes. 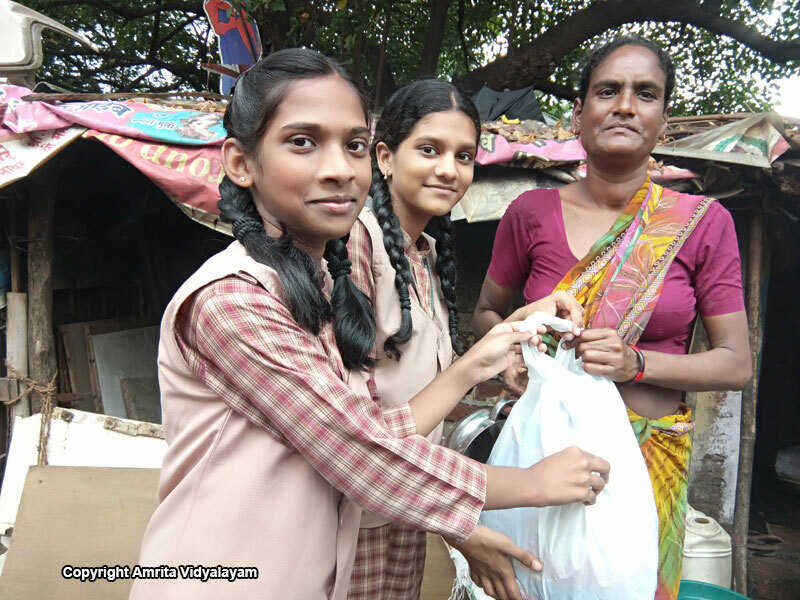 Sealing of Desires- The money contributed towards Sealing of Desires was used to purchase the essential food items which were given to the adopted families on Navami. A special mention to Class IV-A for their generous contribution of Rs. 360 towards this project. 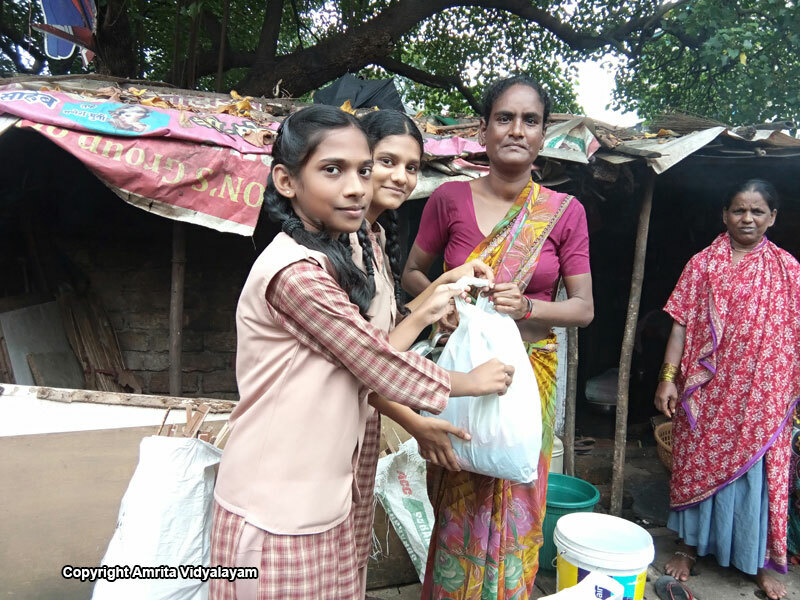 Wealth from Waste – Cloth bags were stitched by students of classes VI and VII; a total of 6 bags were stitched in the month of August. 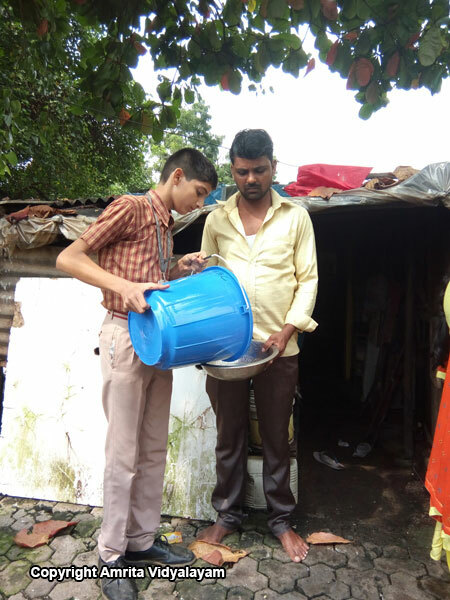 Bhootayajnam – Students of Amrita Nursery and Classes I and II continue to feed the birds come rain or shine. Grihamritam –Green Soles, an organization that refurbishes old shoes and makes them available to school children in villages acknowledged the contribution of 35 pairs of shoes donated by our students. This has also saved 175 lbs of carbon emission. 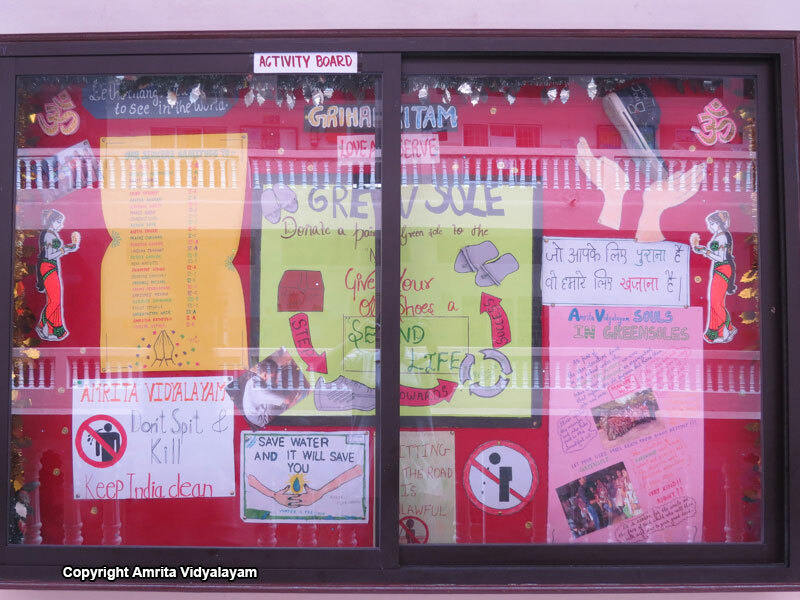 The students made slogans about “Anti Spitting”, “Saving Trees” and “Saving the Environment” which were put up in the school corridors. 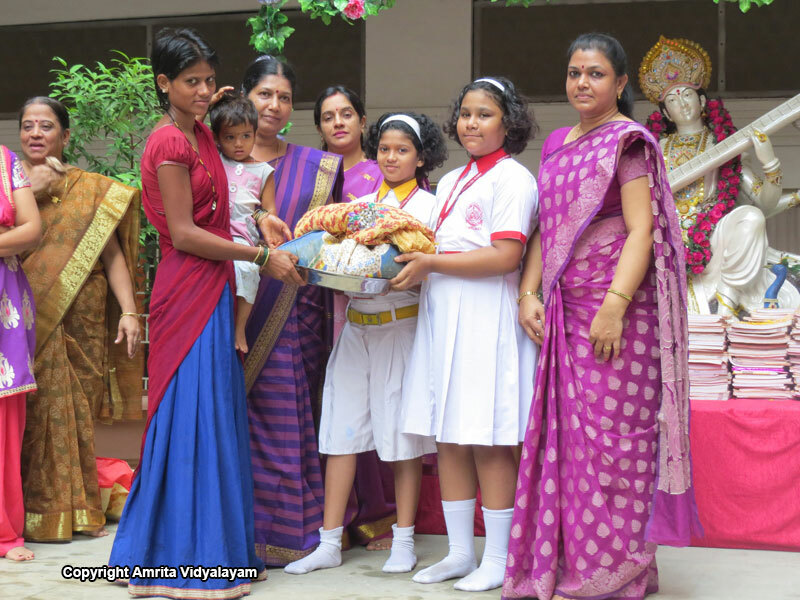 Snehamritham- Students have been enthusiastically bringing rice and clothes during birthdays.